With one of our regional offices here at Trident Asbestos Solutions being based in Durham, we always take a keen interest in any local developments affirming the continued importance of services like ours, which range from asbestos removal contractor audits to asbestos surveys, air monitoring, project management and advice. One announcement that greatly saddened us earlier this year was that of the sudden closure of the Regent Cinema on the seafront of the North Yorkshire town of Redcar. The manager of one of Teesside’s oldest and most-loved cinemas confirmed in April that the decision had been made to shut the venue “for the foreseeable future” due to structural problems. Since then, work has been underway to save the building, amid hopes that the closure will not be a permanent one – and the sensitive removal of asbestos is a key focus. Generations of residents of the North East town have grown up with the Regent Cinema as a familiar landmark. Built as the New Pavilion over the entrance of the now-defunct Coatham Pier in 1928, it was for many years a successful music hall and repertory theatre, hosting such acts as “Britain’s first boy band”, the Dallas Boys, and Billy Breen – an early stage-name of comedy legend Larry Grayson. Indeed, it is thought that Grayson’s catchphrase, “shut that door!”, originated in the town when he uttered it in response to wind from the sea blowing across the stage due to a side door having been left open. It later became a cinema, and has been run by Neil Bates since the early 1990s. In 2007, ‘The Regent’ – as it is locally known – even became a movie star in its own right, appearing in Atonement, which also starred Keira Knightley and James McAvoy. Local newspaper The Northern Echo reported on Tuesday that work to remove asbestos from the cinema had now been commissioned, and was expected to start in the coming weeks. We certainly hope here at Trident Asbestos Solutions that this vital asbestos removal work will be successful, and that this beloved landmark can return to use as a cinema in the near future. In the meantime, if your own organisation is in need of the most dependable asbestos removal contractor audits or related services, you are welcome to seek a quote from us by calling 03333 441555. As reported by the ChronicleLive website, figures have now been released detailing the number of deaths from asbestos-related disease across the UK over the last few decades, making for particularly grim reading for the North East of England. North Tyneside and South Tyneside ranked third and fourth respectively on the death register, a sad reflection of the formerly thriving shipyard and building industry in this part of the country. The high occurrence of asbestos-related deaths in the North East is a subject that is especially close to our hearts here at Trident Asbestos Solutions, given the two offices that we maintain in the region, in Sunderland and Durham. Nonetheless, given the history of the area, it sadly does not shock us that almost 6,300 deaths were recorded across the region from 1981 to 2015 due to exposure to the deadly fibres. When the death numbers are compared to how many would normally be expected to die in the area – the standard mortality ratio – North Tyneside is placed third in the UK for the highest rate of male mesothelioma deaths, with 491. This compares to the 364 recorded for fourth-ranked South Tyneside, with only Barrow-in-Furness and West Dunbartonshire placing higher across the entire country. As for female mesothelioma deaths, Sunderland came in second with 144, only beaten by Barking and Dagenham. The numbers from the Health and Safety Executive (HSE) showed that between 1981 and 2015, 2,319 people – 1,969 male and 350 female – died of mesothelioma in the Tyne and Wear area alone. 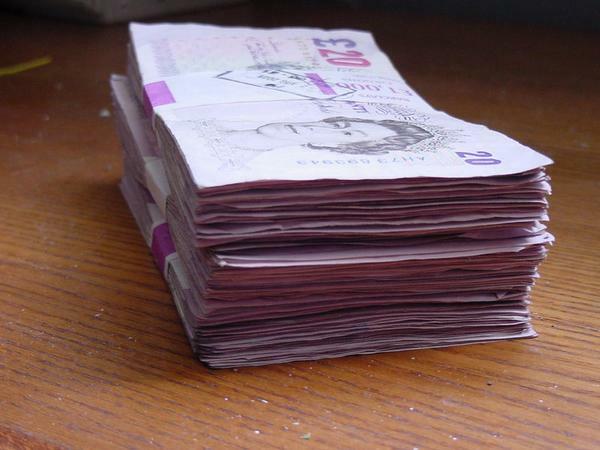 The rest of the North East saw 3,979 mesothelioma deaths – 3,415 male and 564 female – in the same timeframe. It is all a very depressing reminder of the continued paramount importance of the work of asbestos removal contractors in ridding sites across the region and beyond of this potentially extremely dangerous material. Please contact the Trident Asbestos Solutions team today, on 03333 441555 or by completing and submitting our straightforward quote request form, to find out more about the work that our own professionals can do to make your premises safer. We have offices in Edinburgh, Leeds, Birmingham and London as well as the North East of England, which enables us to provide a genuinely nationwide service. The recent death of a Redditch man, together with the Health and Safety Executive (HSE)’s release of new statistics showing that more than 5,000 people died from asbestos-related diseases in 2013, has led to a prominent law firm calling for employers to fulfil their duty in better protecting their workers from potential exposure to the deadly substance. David Henry William Wolfe died aged 78 at his home in Redditch, Worcestershire. His death was caused by mesothelioma – a cancer of the lungs or stomach lining that has long been associated with asbestos exposure. A verdict was reached at his inquest a week after his death on 19th October 2015; his deteriorating health and eventual death deemed to be caused by exposure to asbestos in the workplace. Stats from HSE show that more than 5,000 deaths were attributable to asbestos-related diseases in 2013 alone, with 2538 of these being from mesothelioma. HSE has also predicted that around 2,500 deaths a year would occur per year from mesothelioma for the remainder of the 2010s, prior to annual numbers beginning to decline. Coates also stated that many of the current mesothelioma cases could be attributed to asbestos exposure from decades ago, with the impact on such individuals’ health sometimes only just becoming apparent. She continued: “Many older buildings, including hospitals and schools, still contain asbestos and, while the risk is relatively low if the material is not disturbed, the consequences can be devastating for those who inhale the fibres when they are released into the air. These are sentiments that we can sadly only agree with here at Trident Surveying. That is why we would always urge that employers or organisations concerned about the potential presence of the harmful fibres in their premises immediately contact a reputable specialist in asbestos surveying and asbestos air testing – such as ourselves – to ensure their utmost peace of mind and the safety of their personnel. It seems that every day or week, a new story emerges drawing attention to the fact that asbestos is far from a thing of the past, and that it is in fact continuing to be breathed in by new victims. One such story was that recently published in the Daily Express, revealing that almost nine in every 10 British school buildings still harbour the potentially fatal fibres. The figures, which will be of great interest to many of those educational and other organisations contemplating investment in asbestos air testing and awareness training, were sourced from Freedom of Information requests to local authorities. They showed that the lethal dust is still present in 86 per cent of the country’s schools, which is much higher than previously thought. However, leading asbestos expert Professor Julian Peto warned that it would be too expensive to remove all of the fibres, given that such a task would entail rebuilding schools and would “only save” 25 deaths a year. He added that it would be predominantly those over the age of 70 who would die as a result of any exposure during childhood. Father-of-two Mr Lees lost his then 51-year old primary school teacher wife, Gina, to the deadly asbestos-linked disease of the covering of the lungs, mesothelioma, in 2000. He described as “a step in the right direction” a review last week that ordered that teachers should be given compulsory asbestos training. Of the 2,535 deaths a year in Britain that are attributed to mesothelioma, it is thought that 300 involved exposure to asbestos in schools. Talk to Trident Surveying today about not just the appropriate asbestos awareness training for your own organisation, but also the most professional asbestos air testing and monitoring service. The latter encompasses four stage clearance testing, reassurance air tests, leak air tests and background air tests. A new survey conducted by Censuswide for the Health and Safety Executive (HSE) has further affirmed the importance of asbestos surveying by shedding light on the often misunderstood dangers and prevalence of asbestos exposure, prompting a new safety campaign geared towards fighting the danger and increasing employee awareness. The survey uncovered the fact that tradespeople working in fields such as interior decoration, construction, carpentry and many more were being exposed to asbestos more than one hundred times a year, and that their awareness of its prevalence and dangers was shockingly rudimentary. Disclosing the pervasiveness of such myths as the idea that opening windows and drinking a glass of water would offer such tradespeople substantial protection, the research reported that less than one third of individuals polled could identify the correct safety measures for working around asbestos. More than half were reported to make potentially fatal mistakes while believing themselves to be acting correctly. It was ultimately concluded that a shocking average of 20 tradespeople succumb to asbestos related diseases every week. 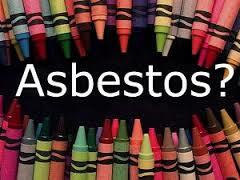 The number of people suffering from asbestos-related disabilities is sure to be just as concerning. The asbestos surveying services provided by Trident Surveying exist to minimise the personal, financial, and legal risks for you and your employees. Asbestos can be found in a host of household areas, and fibres can be easily disturbed by basic work. Once breathed in, these fibres can have lethal results, causing diseases like lung disease and mesothelioma – an aggressive cancer of the chest cavity, outer lung, and abdominal insides. 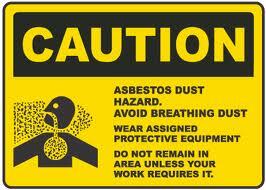 Asbestos exposure profoundly threatens the health of you and your employees. With increased governmental input aiming to improve public awareness, the legal costs of failing to protect employees is set to grow and grow, meaning that both your firm’s financial and physical wellbeing could be at risk. 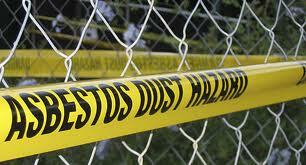 Contact Trident Surveying to organise your asbestos surveying today, in order to protect yourself for tomorrow. When working within the construction industry or on building projects, whether it’s yourself or your company that is involved, the most important thing you need to know is that the Health and Safety Executive (HSE for short) has the right to make unannounced visits to the construction or project site. This is to ensure that the duty holders are complying with the law in regards to managing high risk activities such as asbestos, and that you are strictly complying with current health and safety regulations. The responsible person or company must ensure that adequate steps have been taken to identify asbestos on a site or premises. Usually by getting an asbestos survey done prior to commencement of any works.When working with a high risk material such as asbestos you may receive a visit from the HSE at any time so you will need to ensure that you and your team are working in compliance with the current asbestos regulations. As the duty holder it will also be your responsibility to keep up to date records and asbestos surveys reports, items which the HSE will ask to see. If these are not available at the time of asking then all works will be stopped until provided. This can be an issue as it could halt the project for a lengthy time.The current controls in place regarding asbestos are the Control of Asbestos Regulations 2012 (CAR 2012) and the Construction (Design and Management) Regulation 2007 (CDM 2007). These regulations will cover many aspects relating to asbestos such as all non-licensed work needs to be notified to the relevant enforcing authority. 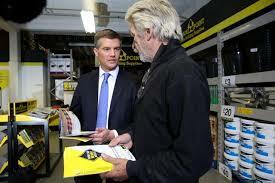 A national initiative is taking place to crack down on unsafe practises in the construction industry. This is aimed to reduce the risks of ill health, injury and death for those working in or with the construction industry. As asbestos is one of the most dangerous parts of the construction industry, there is to be a month long campaigns for inspectors to visits sites across England, Wales and Scotland. This initiative is aimed to educate those working in industry about what is to be considered safe and unsafe working conditions. Poor working standards are unacceptable and if a person is working in dangerous conditions they need to be aware of the risks, and how the risks can be reduced or even eliminated. If poor conditions are found then an enforcement action can be carried out by the HSE.From the 1st of October 2012 the Health and Executive began to operate a Fee for Intervention (FFI for short) which is a cost recovery scheme. 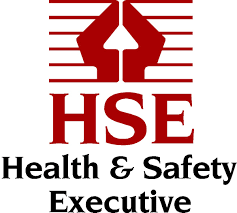 This scheme is to enforce those who break health and safety laws to pay the costs incurred by the HSE’s inspection and investigation, plus other related costs. Those found to be in breach of the Health and Safety (Fees) Regulations 2012 will be held liable for the recovery of the HSE’s costs at the price of £124 per hour. Such measures may seem unfair but this type of fine is the most effective way to ensure that all construction sites dealing with issues like asbestos are following the regulations closely. As asbestos is such a dangerous material it’s vital that exposure is controlled when it is discovered.Trident Surveying has experience dealing with asbestos surveys and other asbestos related issues, so you’re looking to get a survey then get in touch via email or phone to find out more about getting a quote. A Decorating and Refurbishment contractor has been fined for exposing employees, agency staff and members of the public to asbestos.In 2009 a refurbishment project was undertaken over several weeks at Sentinel House, Nuffield Industrial, Poole by MJC Decorating and Refurbishing Ltd.During the project the contractor began removing ceilings at the two story block without carrying out a suitable asbestos survey in advance to determine whether asbestos was present. The appropriate survey prior to any works being carried out would have been the asbestos Refurbishment Survey.When visiting the site the HSE Inspector found widespread asbestos contamination both inside and outside the building. Investigations also revealed that some of the other material that had been removed from the site may have been asbestos containing but may have been treat as non hazardous material.As a result of the contractors actions four employees and fourteen agency staff working under the control of the contractor had been exposed to the dangerous asbestos fibres.It took over two weeks for the MJC Contractors to remove the asbestos insulation board (AIB) ceiling. During this period the contractors were only wearing normal clothing and face masks if worn at all.MJC Decorating and Refurbishing Ltd, of London Road, North Cheam, Sutton, Surrey, pleaded guilty to three breaches of the Control of Asbestos Regulations. It was fined a total of £45,000 and ordered to pay £36,943 in costs.Speaking after the hearing, HSE Inspector, Helena Tinton, said:”This was a very serious incident which carries severe risks for people’s health.”MJC’s safety failings led to the needless exposure to dangerous asbestos fibres of its employees, agency staff and the wider public. The firm didn’t carry out a suitable survey for asbestos material before the work started and failed to provide protection for workers on site.”Regulations on dealing safely with asbestos have been in place for many years and are widely known in the industry.”This totally needless incident would not have happened if MJC had carried out proper assessments.”This once again highlights the importance of following the correct procedures and ensuring that an asbestos survey has been carried out to locate any possible asbestos containing materials. After all it is the law. If you or your company are involved in construction you should know that from 18 February until 15 March, the HSE (Health and Safety Executive) will make unannounced visits to ensure duty holders are managing high-risk activity and complying to current regulations as required by Law.When attending site the HSE inspector will no doubt be asking to see if steps have been taken to ensure compliance to the current asbestos regulations. Where applicable the duty holder will be asked to produce the asbestos survey report for the site.The regulations that are currently in place that cover asbestos are the ‘Control of Asbestos Regulations 2012 (CAR 2012)’ and also ‘Construction (Design and Management) Regulations 2007 (CDM 2007)’.Unsafe practices on construction sites across the UK are to be targeted as part of a national initiative aimed at ill health, injury and death.To support a month-long drive to improve standards in one of Britain’s most dangerous industries, inspectors from the Health and Safety Executive (HSE) will visit sites in England, Wales and Scotland.The purpose of the initiative is to remind those working in the industry that poor standards are unacceptable and could result in enforcement action.The Health and Safety Executive now operates a Fee for Intervention (FFI) cost recovery scheme, which came into effect on 1 October 2012.Under The Health and Safety (Fees) Regulations 2012, those who are found to be in breach of health and safety laws are liable for recovery of HSE’s related costs, including inspection, investigation and taking enforcement action, at a rate of £124 per hour.